Albania Travel Guide – My Best Tips! Home/Europe/Albania/Albania Travel Guide – My Best Tips! Do you have plans on visiting Albania? It’s an exciting destination that has become more and more popular in recent years!. 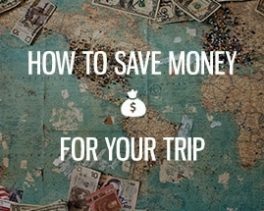 I’ve been there, and here I’m sharing my best tips on places to visit, hotels, how to get around, attractions, food, flights and much more! This article will keep getting updated, and my vision is to create the ultimate travel guide to Albania! What is it like to travel to Albania? 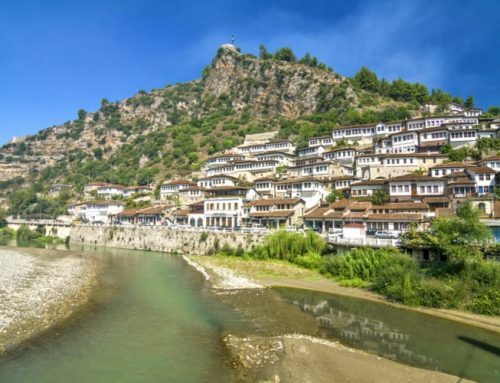 This is one of the most popular destinations in Albania, and also one of the most developed tourist destinations. The proximity to Ksamil, Butrint, and Syri I Kalter as well as the northern part of the Albanian Riviera makes it a great starting point. Along the water you will also find a lovely beach boulevard with bars and restaurants. There are also some shops and beaches, but the biggest reason for coming here is probably because it’s easy to get here and the range of hotels is quite big here. Personally, I find Saranda quite charming, and here you can read more about Saranda and what you can do there. Ksamil is one of the most popular tourist destinations, and it’s located about 30 minutes from Saranda by bus. Here await some of the best beaches in Europe with turquoise water and white sand. There are several bays you can go to. It get’s pretty crowded here though in July and August. The 4 islands shouldn’t be missed either, from where you can snorkel, sunbathe and enjoy the water! Read more about Ksamil. 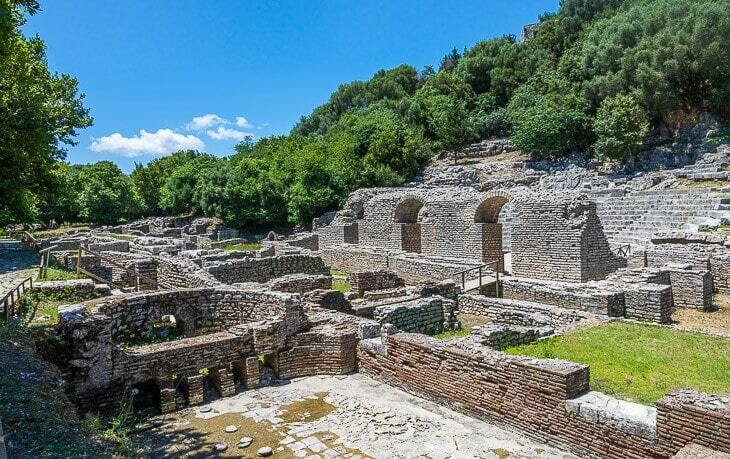 Another popular destination in Albania, that is located more north along the Albanian Riviera. If you want sun and sea this is a great place to go. It’s also close to the Albanian capital – Tirana. Between Durrës and Saranda lie these two wonderful places with beautiful beaches. Close to Dhermi beach, you will also find the famous Gjipe Beach, which is said to be one of the best beaches in all of Albania! If you want to combine your holiday with a bigger city, it will probably be interesting to visit the Capital. Here you will find a lively nightlife and a much different experience than southern Albania. If you’re visiting the Northern part of the country it’s better to fly direct to Tirana! 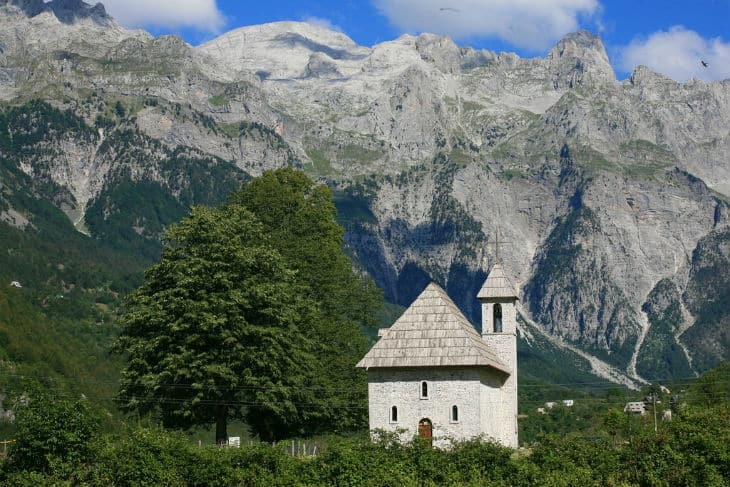 If you like hiking, staying with local families, and get a cultural experience, the Albanian Alps is recommended by many travelers, and especially Theth as a starting point. A cozy mountain village where you get to enjoy some Albanian culture and nature! There are many smaller and tucked away beaches in Albania that can be worth a visit, but to make it easier I have listed some of the most popular beaches to start with. There are many beautiful places in Albania, but here you have some of the most popular ones! Many tourists who travel to Albania, and particularly the Southern part will fly into the airport of Corfu in Greece, which is just a short boat ride from Saranda in Albania. There are currently no direct flights to Saranda or Ksamil, but it’s very easy to get from Corfu to Albania by the daily ferries. 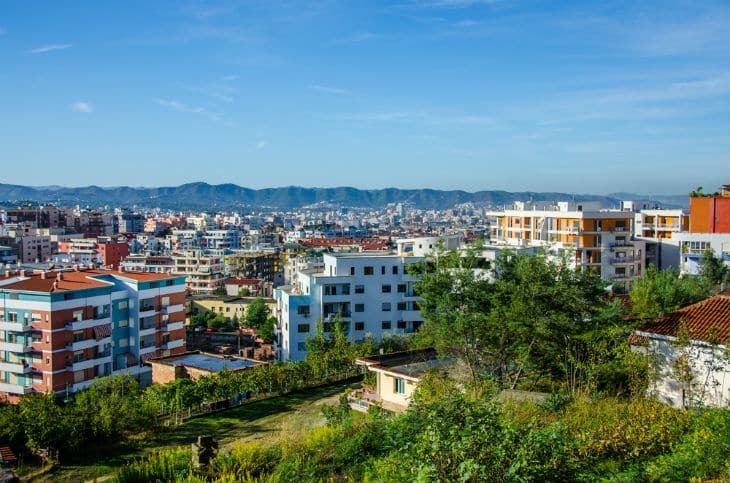 However, there are many international flights to Tirana, the capital of Albania, and if you’re visiting the northern part or go to Durrës it will be quicker and smoother to fly into Tirana. 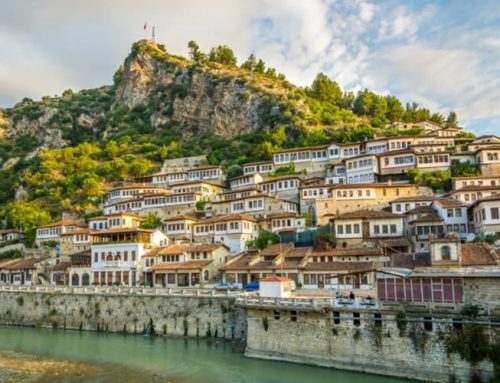 Depending on from where you fly from the prices vary, but from several destinations in Europe, it’s possible to book flights from 50 Euros and upwards to Albania. Tourism has increased quite a lot in recent years, and it’s still growing. Tourists mostly come here for the sun and beaches, but some also discover the alps and other beautiful areas of the country. According to official numbers in 2016, Albania had 4.73 million visitors. The high-season is definitely in July and August, and several destinations see a lot of visitors these two months. However, if you’re traveling in May and June, or even September and early October you can find beautiful places that you will have almost to yourself. 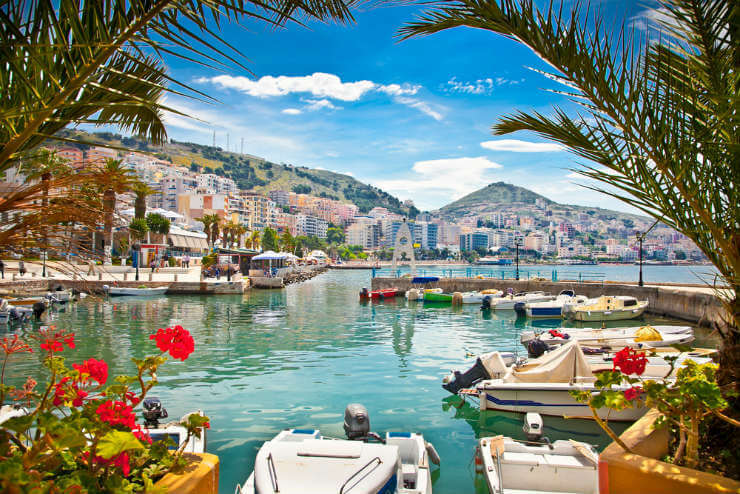 The most popular destinations such as Ksamil, Saranda, and Durrës are getting pretty crowded in July and August, particularly in August when high season peaks. This is something that you should expect anywhere in Europe, and Albania is not an exception. With that said, there are lots of hidden gems and beautiful beaches to explore, and the Albanian Alps is not very crowded either, so you still have selections if you need to travel in July and August, but to prefer to avoid the crowds. How much does it cost to travel in Albania? In general, I would say that the prices in Albania are about half compared to Sweden, Germany, France, and the UK. 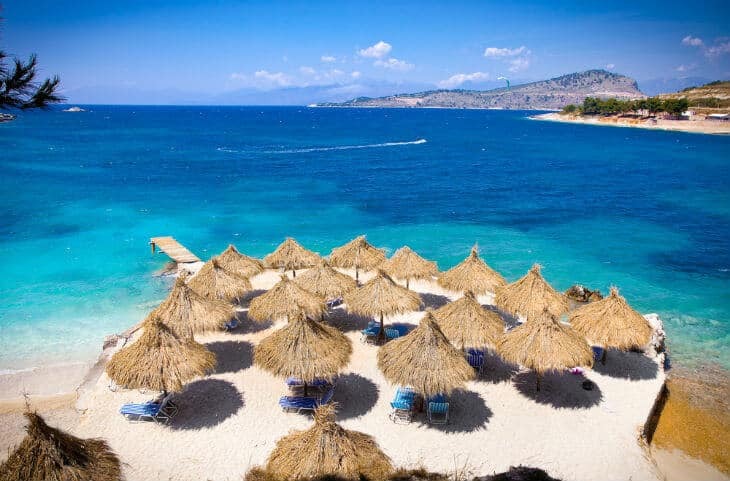 In the Southern tourist resorts such as Ksamil and Saranda, the prices will be higher than the country’s average, and villages without tourism will be cheaper than the average. How’s the weather in Albania? The Albanian Weather and Climate is pleasant, and the Riviera has a typical Mediterranean climate with mild winters and warm summers. If you go into the mountains it will be colder, and during winter season it will snow. No matter where you travel in Albania during summer you can expect sunshine and average temperatures of 25-30 degrees with higher temperatures some days. 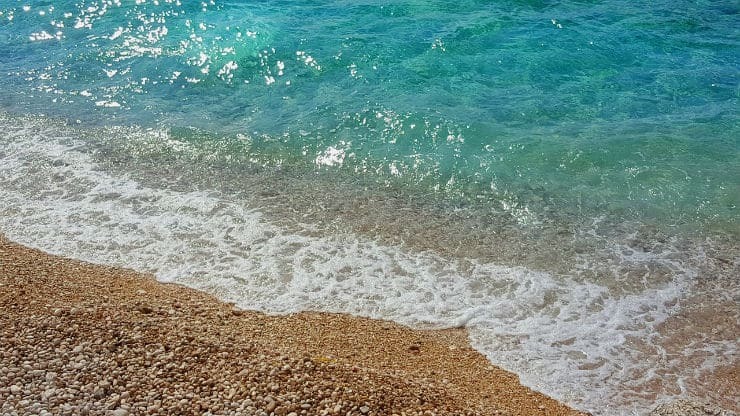 In June the average temperature in the water will be around 21 degrees, and in July, August, September it will rise to 25 degrees along the Albanian Riviera. Bus or Mini buses are the most common way to get around in Albania as a tourist. If you’re traveling shorter distances, it’s pretty cheap to take a taxi, but if you plan to explore a lot and go to many places, I would suggest renting a car. If you don’t want to rent a car, there are also quite a few tour agencies that offer and arrange guided tours and excursions. Between Saranda, Ksamil, and Butrint there are several buses daily. From Tirana, you can take a bus or minibus to almost any place in the country. 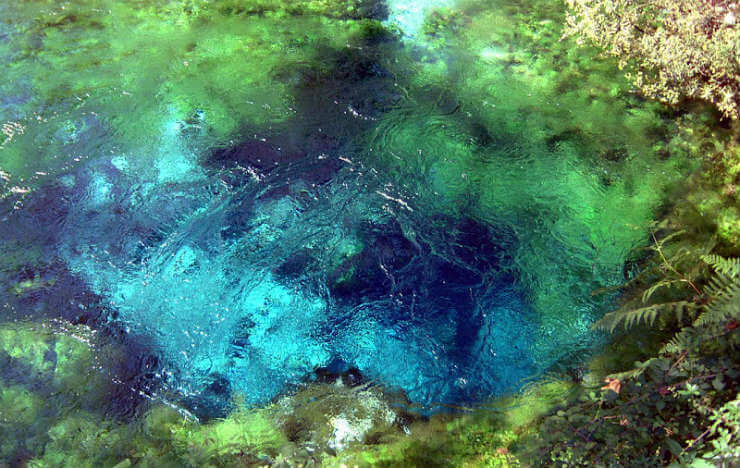 Can you drink the tap water in Albania? Yes, the tap water is safe to drink in Albania, but as with any other place, it can taste different from what you’re used to. If you aren’t sensitive I would say that there is no harm in drinking the tap water or avoiding ice in beverages. Is it safe to travel to Albania? While the country’s past is rough, it’s nowadays a very safe country. As already mentioned, the locals are friendly and they have a strong hospitality culture. 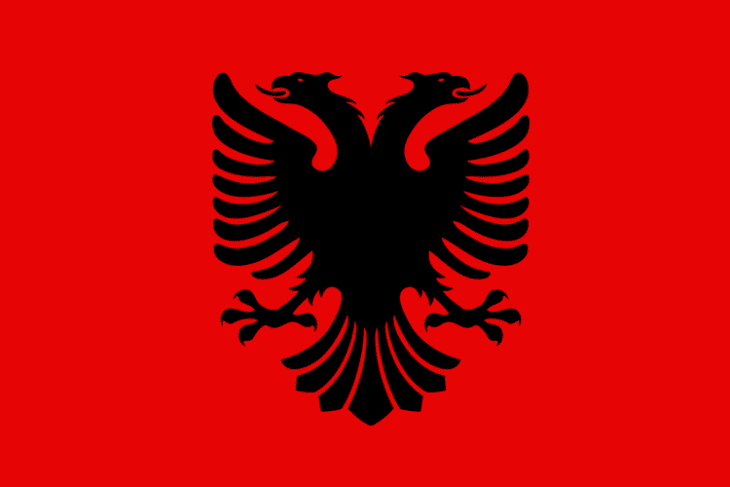 Some people think that Albania is a dangerous country, but I will say that it’s just rumors from the past, and nowadays you don’t have to worry about traveling to Albania. It’s pretty good in the cities and tourist destinations. Of course, it can vary from hotel to hotel, but in most parts, we had pretty good Wi-Fi. Just a quick reminder, Albania is not an EU-country, so your free EU-roaming will not apply here. If you need internet besides for what your hotel offer, I will suggest you to buy a local sim card. What kind of electrical outlets do they use? Standard European outlets, and 220 volts. If you’re not from Europe, you will most likely need a travel adapter. Food in Albania often includes meat of some kind, especially beef or lamb. Along the Albanian Riviera, it’s very common with fish and seafood. Pizza is something that you will find in many places too, and they are just as delicious as in Italy! Byrek and Tave Kosi is some of the most famous Albanian dishes. As you can see, Albania is an elongated country. From Saranda in the South to Theth in Northern Albania it is about 8 hours by car. First of all, it’s good to know that tourism is quite new and only started to grow in the last years. 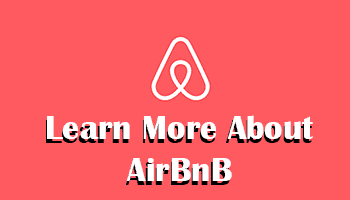 This means that there will not be a huge amount of hotels everywhere. There is still some work to do with infrastructure and you shouldn’t expect luxury while traveling to Albania. With that said, you will get an authentic and lovely experience. The hotels are mostly owned and managed by local families, and you won’t find many big international hotel chains here. That’s a part of the charm, and the same goes for restaurants. It gives Albania a big advantage to other tourist destinations where you don’t get the same cultural experience. Albania is still quite untouched compared to other nearby regions in the Balkans and the Meditteranean, but more and more tourists discover this beautiful country, so don’t wait too long if you want to discover the hidden gems of Albania. If you have traveled before, you won’t have any issues when traveling Albania, no matter if you travel solo or with others. And if you do come into a situation or don’t know how to get to a specific place, just remember to ask the locals, they will more than likely help! Another positive thing was the fact that the locals were honest and didn’t try to rip us off if we didn’t know something, for example when we arrived in Tirana at a bus station outside the city center without a clue on how we could get to the hotel from there. The taxi driver could’ve tricked us, but he didn’t, he gave us a fair price and drove us straight to the Skanderbeg square. I hope it will stay this way, and even though more tourists will come to Albania, I hope the locals will remain friendly and helpful with a great hospitality! When you travel to another country where English isn’t the first language, it’s always nice to learn a few phrases and words in the local language. Here below are 7 useful Albanian words and phrases! How are you? Si Jeni? Do you speak English? Flisni Anglisht? Excuse me, how do I get to…? Më falni..Si mund të shkoj…? What is the name of this dish? Si quhet kjo gjellë? 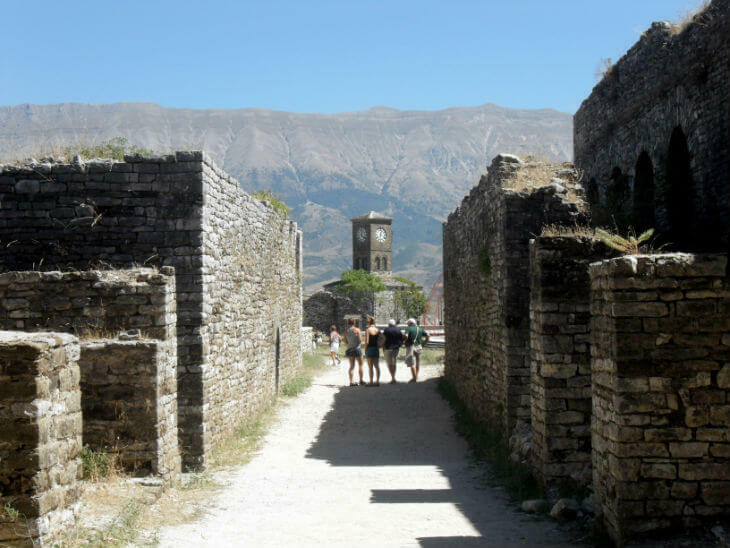 Do you have more questions about Albania as a destination? 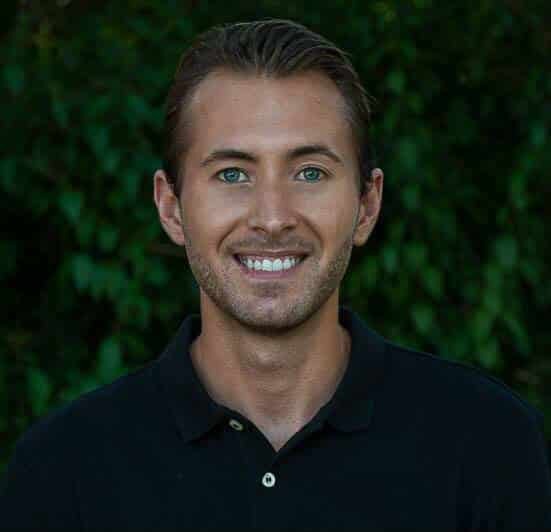 Leave a comment below and I will happily answer from my own experience. If you have traveled to Albania already, or if you’re from Albania, please leave more tips in the comment section below! to visit the northern part of Albania it’s also easy to fly to Podgorica in Montenegro, it is only 30 km from the border and really close to Skodra. To go to the Alps or visit the eastern part of Albania, you can fly to Ohrid in Macedonia, it is only 20 km from the Albanian border. Hello Susanne :) Yes, I would say that Google Maps is accurate and works well in Albania. Just remember that Albania is not a part of the EU, so there is no free roaming. So I would suggest to get a GPS via the car rental agency or buy a local sim card with some data to use for Google Maps. You’re doing big favour to the country mate for telling your experience in Albania. God bless you and your family. Hello, if you want to come to Albania, we are very happy to welcome you here, to see this beautiful country. If you want someone to help you to visit the most beautiful cities of Albania, we are a tourist guide so we can help you with everything. Please contact us to the number +355685351292. Thank you and WELCOME!